Your blood is a mix of fluid and different kinds of cells and proteins. 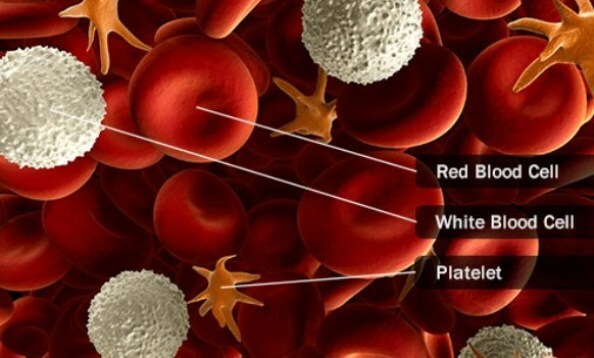 Red blood cells carry oxygen and white blood cells fight disease. Tiny cell fragments called platelets help your blood clot to patch up a cut. Some types of cancer affect the parts of your body that make these cells and proteins, namely leukemia, lymphomas, and myelomas. Who's More Likely to Get Blood Cancers? Doctors don't know what causes blood cancers, but some things can raise your chances of getting blood cancer. These include having a family member who's had one, being around certain chemicals (like benzene, found in gasoline and other fuels) or being exposed to high levels of radiation. In some cases, people who are HIV-positive or have AIDS or have had the Epstein-Barr virus, may be more likely to get certain types of blood cancer. Your body has a network called the lymphatic system, which helps you fight off infection. It includes organs all over your body called lymph nodes - that filter out bacteria and viruses - and white blood cells called lymphocytes. Cancers that attack the lymphatic system are known as lymphomas.They're the most common kind of blood cancer. Because your lymphatic system runs throughout your body, this type can start almost anywhere. There are two kinds - Hodgkin's and non-Hodgkin's - and they both happen in a similar way. Your body makes lymphocytes that don't work the way they should, and they clump together to form tumors. They can crowd out healthy white blood cells so they can't help you fight off disease. 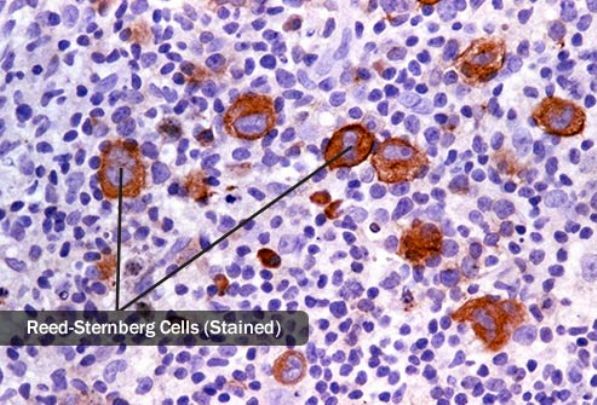 The difference between the two types of lymphoma is in the lymphocyte that's involved. With Hodgkin's lymphoma, your body makes a kind called Reed-Sternberg cells. About 12% of people who have lymphoma have this type, which is named for the doctor who identified it in 1832. It's one of the most curable forms of cancer. 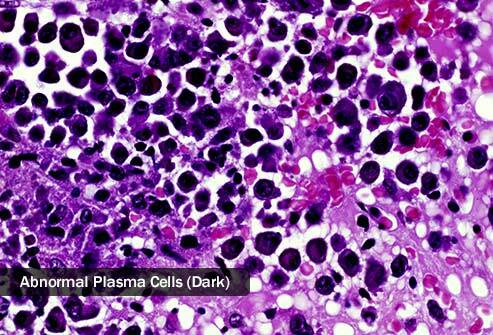 If it doesn't involve Reed-Sternberg cells, it's called non-Hodgkin's lymphoma. This is the most common form of lymphoma - more than 30 types of cancer fall into this category. Some kinds grow slowly, while others grow very fast and can spread to other parts of your body. These need to be treated right away and can be hard to cure. If your doctor thinks you have lymphoma, she'll probably want to take a small sample of one of your lymph nodes. From the sample, she'll be able to tell if you have cancer and, if so, what kind. This type of cancer affects your blood and bone marrow - spongy tissue inside your bones where blood cells are made. Like lymphoma, it causes your body to make many white blood cells that don't work right and keep healthy ones from fighting infection. But leukemia also keeps your bone marrow from making red blood cells and platelets the way it should. It's the most common type of cancer in children, but adults can get it, too. Other symptoms can include getting infections often, bruising easily, and anemia, which is when your body doesn't make enough red blood cells. Your doctor can test your blood and see if you have more white blood cells than normal or low numbers of red blood cells or platelets - both can be signs of leukemia. She also might want to take a sample of your bone marrow (called a biopsy) to look for cancer cells. She'll give you medicine to numb the area, then put a needle into a large bone to take out a small amount to have tested. 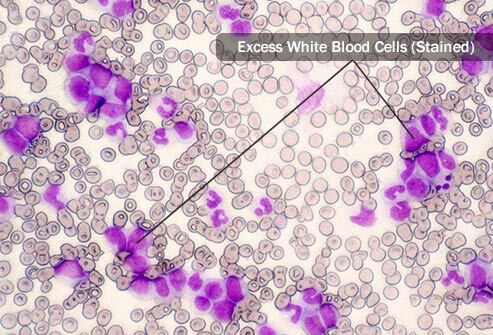 This type of blood cancer affects white blood cells called plasma cells. They make proteins called antibodies that attack bacteria and viruses in your body. If you have myeloma, your body turns out lots of problem plasma cells that make a protein that doesn't help fight infections. These proteins can build up in your bone marrow and damage your kidneys, or in your bones and make them weak. You may not notice symptoms early on, but the first sign is typically bone pain, usually in your back or ribs. You also may feel weak, get infections often, be very thirsty and need to pee more, be constipated, or have numb hands or feet. If your doctor thinks you might have myeloma, you'll have blood tests to check for high levels of certain proteins, a bone marrow biopsy to look for cancer cells, and scans to see if your bones are thin or fractured. Blood cancer treatments usually involve chemotherapy or radiation - or a combination of the two - to kill the cancer cells. Chemotherapy uses powerful drugs to target the cells, while radiation uses high-energy rays to attack them. These can also damage healthy cells, cause side effects like nausea and hair loss, and make you more likely to get an infection. If other treatments don't work or your doctor thinks your cancer may come back, she might recommend this. Stem cells can become different types of cells, so the idea is to replace problem stem cells with ones that will become healthy blood or immune cells. You'll have chemotherapy or radiation to kill problem cells, then you'll get donated stem cells. It works like a blood transfusion - the cells go through a tube into a large blood vessel. Research is under way to boost your chances of beating all kinds of blood cancer. Talk with your doctor about clinical trials that might be right for you. These trials test new drugs to see if they're safe and if they work. They often are a way to try new medicine that isn't available to everyone.